Locals that love the mile. 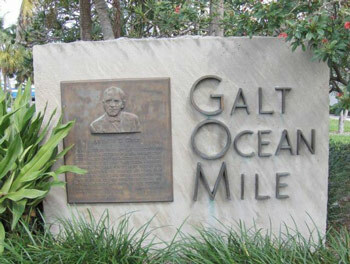 Galt Ocean Mile Merchant Association was created for everyone who truly loves The Mile! Our passion and pledge for community excellence is driven by the people that live, work, and play here. We support locals and government agencies in their endeavors to beautify the area. We encourage tourists and locals to frequent and support the unique and interesting businesses that call our area home. We keep people up to date on interesting news, local events, and the people that make them possible. We help local business owners strengthen their roots in the community while promoting local business growth. We are Business 4 Business! Our mutually beneficial relationships with Galt Mile business owners and local organizations will make it possible to create collective advertising and targeted information that is relevant to The Mile. 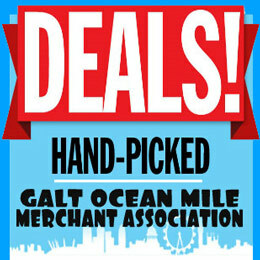 The objective of the Galt Ocean Mile Merchant Association is to quite simply be here for your needs because we support our locals alongside our local businesses! Home to some of the best dining, retail, entertainment, and activities in all of south Florida and we encourage you & your family to explore what Galt Ocean Mile has to offer! We make it our top priority to know and understand the businesses that are located within the world famous Galt Ocean Mile. As a hidden gem of Fort Lauderdale, we are always striving to find new and interesting ways to position the Mile in front of both tourists & locals alike. Please check back for frequent updates allowing the tourist and local alike to stay up-to-date with community information from a reliable source; the locals that love the mile. Sign up for our Newsletter for Deals, Discounts, and Event News with digital links to interesting information and blogs featuring local business owners and “eye on the mile” where we showcase articles wonderfully written by contributing friends. We encourage feedback and look forward to hearing from you!